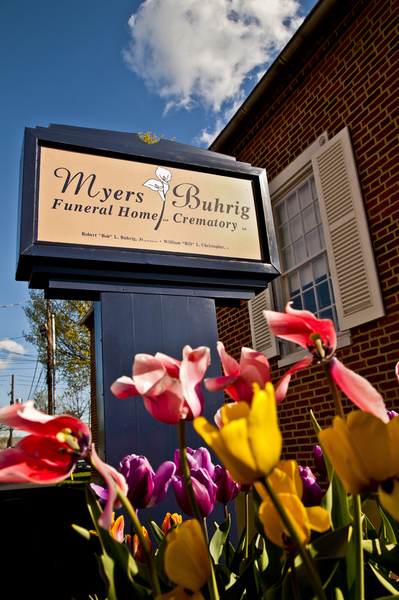 Myers-Buhrig Funeral Home and Crematory has been a comforting presence in the heart of our community since 1910. 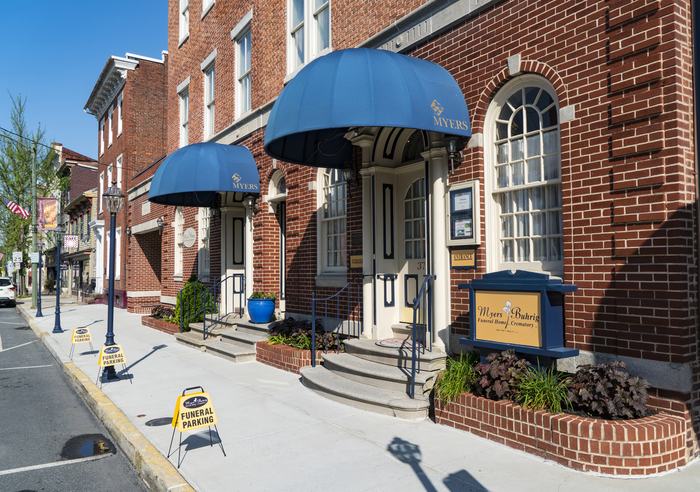 The Myers Funeral Home was founded by the Myers family in 1910 and run by the family for more than 100 years. S. Harper Myers began the business after attending the Eckels College of Embalming and Sanitary Science in Philadelphia, where he was declared a master of the mysteries of the art of Embalming and of Sanitary Science. Eckels College was founded and operated by relatives of the late Mabel Eckels, who owned and operated the Eckels Drug Store & Ice Cream Parlor, which is located across the street from the our funeral home and is now owned and operated by Deb McCreary, a Myers-Buhrig team member. In 1936, Harper was joined by his two sons, Martin L. Myers and Charles L. Myers. Martin remained in Mechanicsburg with his father while Charles opened a funeral home in Camp Hill. In 1958, the third generation, Boyd L. Myers, Sr., joined his father and grandfather. The firm was purchased by Martin in the early 1960s, and when he retired in 1977 it was purchased by Boyd Sr., who owned the firm until his death in 2009. In April 2011, during a time of distress for the business, Robert (Bob) Buhrig, Jr. was reacquainted with the company, purchased the funeral home building, vehicles and physical assets from Boyd Sr.’s widow, and began a new business – the Myers-Buhrig Funeral Home and Crematory, Ltd. At this time, Bob committed himself and the new company to make things right. At the opening of the new business, Bob unveiled the only West Shore owned and operated crematory, so loved ones never leave the watchful care of Myers-Buhrig’s team. In the following days and years, Myers-Buhrig Funeral Home and Crematory has become a full service monument dealer, added full cafe and reception services, implemented new pricing and offerings, and has undergone dramatic improvements and upgrades to the buildings, the parking lots and technology. Additionally, Bob has developed a company culture of compassion by hiring and training team members who share his vision of caring for people in their time of need, walking with them on the journey of grief and helping people achieve the highest amount of healing possible. Since purchasing Myers-Buhrig Funeral Home and Crematory, Bob Buhrig’s vision of grounded growth has reconnected the business to the local Mechanicsburg community. From hosting historical society meetings, participating in local chambers of commerce, doing business with local businesses, and to caring for the oldest building in town, the historic Union Church, the devotion to the local community is evident. Bob also gladly utilizes his local, national and international industry and speaking experience to present to community groups. If you would like to have Bob speak at one of your events, please contact us. 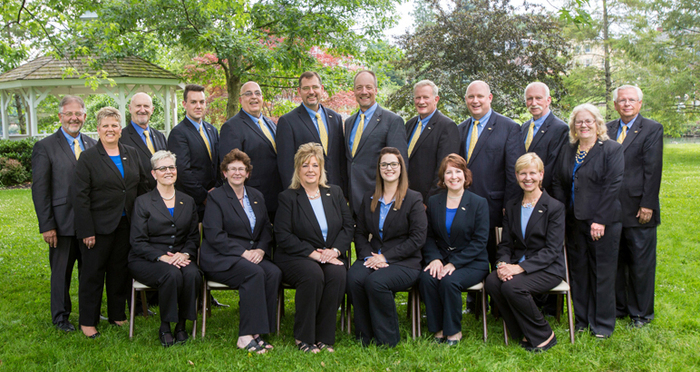 The Myers-Buhrig Funeral Home and Crematory remains a local, family-owned and operated business committed to families in our community – honoring the past and actively preparing for the future.